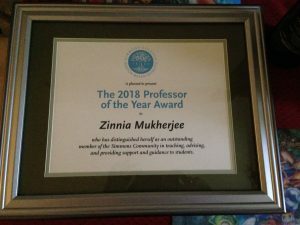 Zinnia Mukherjee, an ’09 PhD graduate of the Department of Economics, received the Professor of the Year award at the Simmons College Senior Faculty Banquet in April. 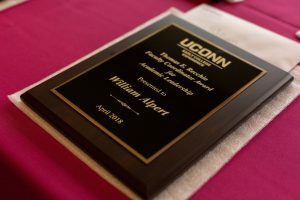 William Alpert, Associate Professor Emeritus, was recently awarded the Thomas E. Recchio Faculty Coordinator Award for Academic Leadership in the University’s Early College Experience program (ECE). 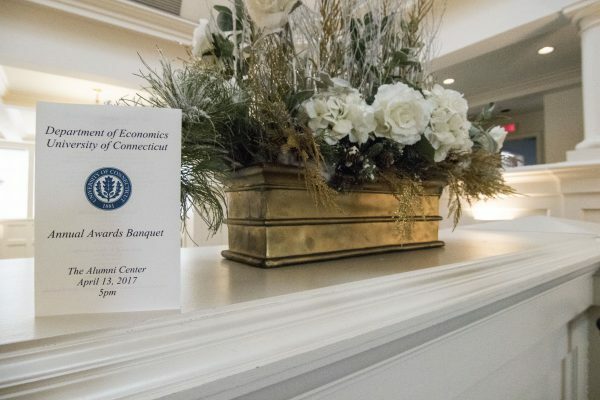 The Early College Experience, one of the first concurrent enrollment programs in the world, is committed to providing access to and preparation for post-secondary education programs through its ability to offer University of Connecticut courses to high school students in their high schools. 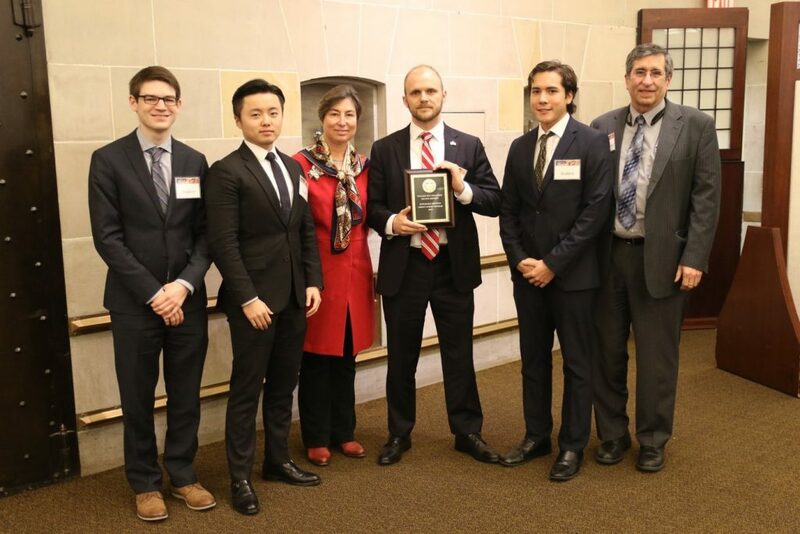 ECE is committed to excellence in education by fostering a relationship between higher education and partner high schools to create an effective transition for students who have made college a goal. 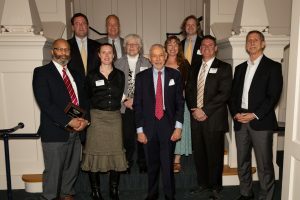 Professo r Alpert began his association with the ECE program in Economics in 2002 with two instructors participating at two Connecticut high schools. 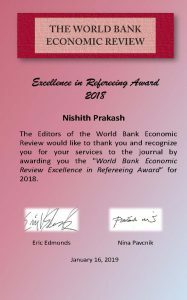 By April 2018 Economics fielded 30 economics (Principles Microeconomics, Principles Macroeconomics and Essentials of Economics) with classes in more than 30 schools with well over 30 teachers certified as ECE instructors or preceptors in Economics. 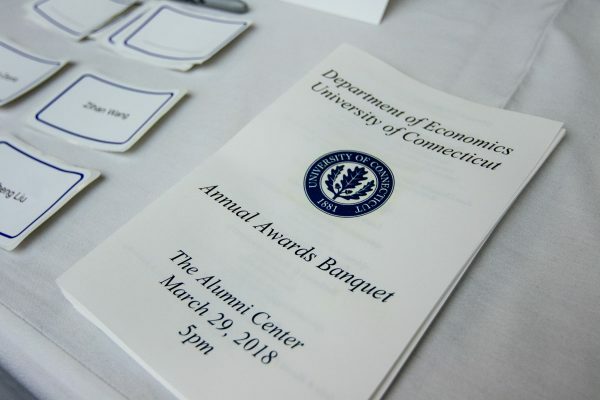 In presenting the award, Professor Recchio (English) noted Professor Alpert’s distinguished publication record, saying it represented the Early College Experience Program’s dedication to serious scholarship.